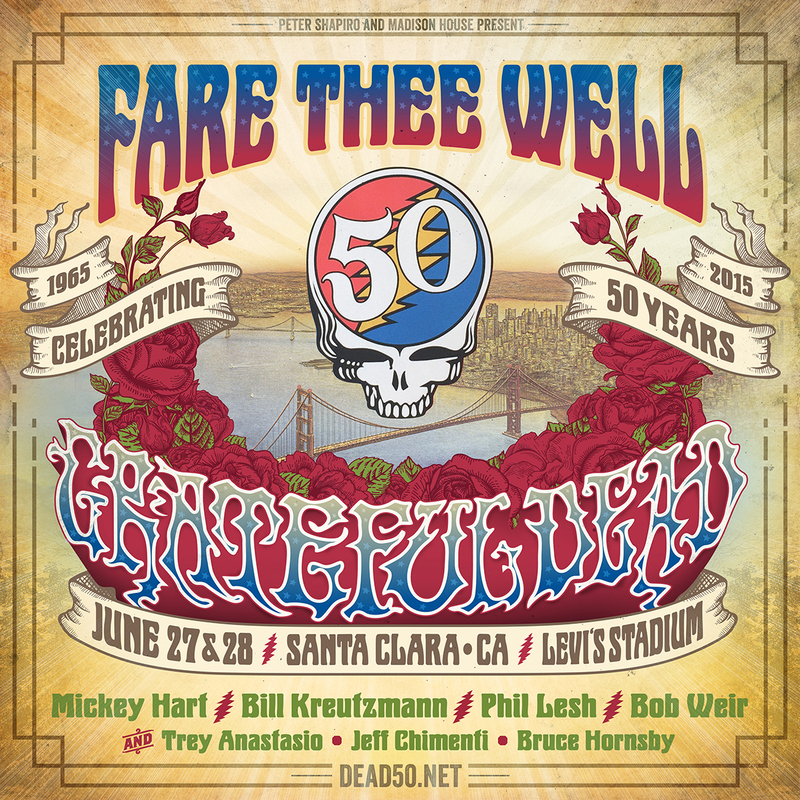 The original members of Grateful Dead — Mickey Hart, Bill Kreutzmann, Phil Lesh, and Bob Weir — have announced two additional shows at Levi’s® Stadium in Santa Clara, California on June 27th and 28th, as part of their “Fare Thee Well: Celebrating 50 Years of Grateful Dead” run. Along with the three shows at Chicago’s Soldier Field on July 3rd, 4th, and 5th, the run will mark the original members’ last-ever performances together. 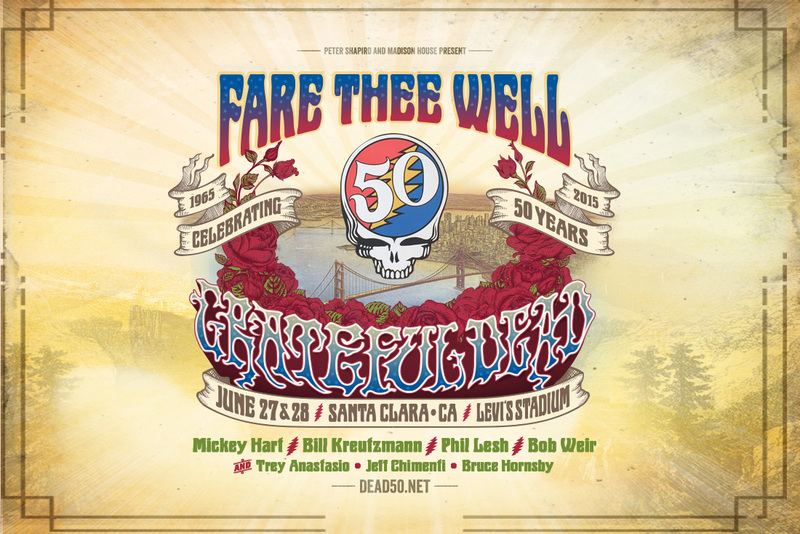 The band will be joined by Trey Anastasio (guitar), Jeff Chimenti (keyboards), and Bruce Hornsby (piano) and perform two sets of music each night. Fans looking to secure tickets for the event must register for an online random drawing that runs from Friday, April 10 through Tuesday, April 14. The online random drawing provides an equal opportunity to purchase tickets to all individuals who register prior to the deadline. A maximum of four tickets per show can be purchased by each individual. Levi’s® Stadium SBL members have an opportunity to participate in an exclusive presale for a limited number of tickets on Monday, April 13. On that day, each SBL member account will receive a ticket purchase offer in its associated email account that provides an opportunity to purchase a maximum of four tickets per show. SBL members who are unable to secure tickets through this exclusive presale still have the opportunity to participate in the online random drawing prior to the April 14 deadline.